Hyaluronic Acid Injections Offer A Highly Effective, FDA-Approved Method For Successfully Treating Mild To Moderate Osteoarthritis in Manhattan Beach, Los Angeles. Hyaluronic acid injections might be the right treatment to help you with your osteoarthritis. Joints are like gears – they work best if they’re well lubricated. In a healthy joint, a thick substance called synovial fluid provides lubrication, allowing bones to glide against one another. Synovial fluid acts as a shock absorber, too. In people with osteoarthritis, a critical substance in synovial fluid known as hyaluronic acid breaks down. Loss of hyaluronic acid appears to contribute to joint pain and stiffness. 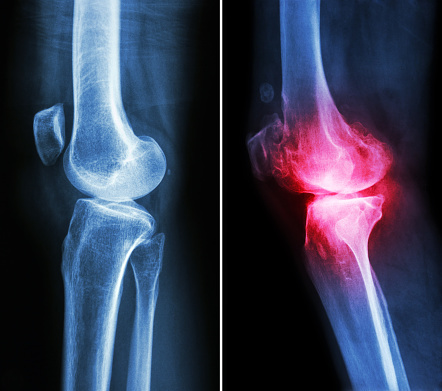 Will replacing hyaluronic acid relieve osteoarthritis symptoms? Hyaluronic acid injections (also known as viscosupplements) are approved by the U.S. Food and Drug Administration (FDA) for treating osteoarthritis of the knee, though some doctors have used the therapy on other joints, such as the hip and ankle. They work by lubricating painful joints and promoting optimal function, especially for individuals who have not been able to achieve relief through other conservative measures. They also provide a natural anti-inflammatory effect, reducing pain and often avoiding the need for steroid injections. While studies of hyaluronic acid injections have occasionally yielded disappointing results, many doctors who treat osteoarthritis say that the weight of scientific evidence – and their own clinical experience – suggests that a shot in the knee can produce significant relief for some patients. Furthermore, lab and clinical research hints that hyaluronic acid may do much more than simply re-grease a creaky joint. There are five hyaluronic acid treatments for knee osteoarthritis in use in Los Angeles. Hyalgan, along with Orthovisc, Supartz and Synvisc are made from a surprising raw material: rooster or chicken combs. Euflexxa is derived from bacteria. Hyaluronic acid injections are one treatment option doctors may offer when a patient is no longer able to control osteoarthritis pain with ibuprofen or other non-steroidal anti-inflammatory drugs (NSAIDs), or the patient can’t tolerate these drugs (which can cause side effects such as stomach bleeding and kidney problems). The treatment regimen for hyaluronic acid usually involves receiving one injection in the affected joint per week for three to five weeks. Many patients appear to get at least some relief – eventually. Osteoarthritis is the most common type of arthritis. See our post on Osteoarthritis (OA) here. It’s characterized by the degeneration of cartilage and dysfunction of joint fluid, leading to joint pain, stiffness, tenderness and a loss of flexibility. Without prompt intervention, arthritis is progressive, often worsening over time with further cartilage loss and pain. Considered one of the top providers of hyaluronic acid injections Los Angeles has to offer, you can expect a pleasant experience. All of these injections are delivered under state-of-the-art ultrasound guidance to ensure an accurate needle placement with precise dynamic visualization. This frequently results in more accurate needle placement than “blind” injections along with less reported pain. This is a main reason you want your injections administered by a Board Certified Orthopedic Surgeon, such as Manhattan Beach, Los Angeles based surgeon, Dr. Keith Feder. 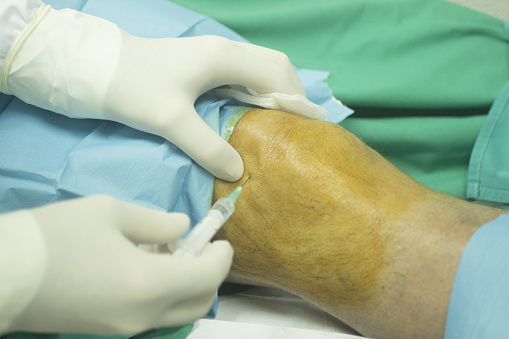 Hyaluronic acid injections offer a safe, effective, and minimally-invasive way to manage osteoarthritis – but they aren’t right for every patient. They are ideal for men and women who have mild to moderate osteoarthritis (not severe) and have been unable to achieve relief with exercise, weight loss and physical therapy. They are also an appealing alternative if you want to avoid painkillers and steroid injections. If you are in the Los Angeles or Manhattan Beach area, please call the West Coast Center for Orthopedic Surgery and Sports Medicine today to schedule an appointment with Dr. Feder. Call 310-416-9700.